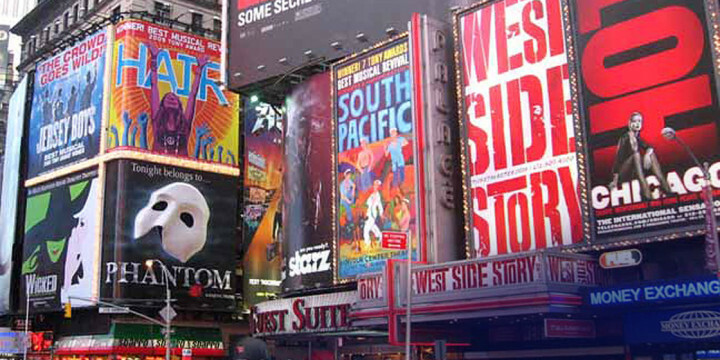 “Broadway Gala” — Thingamajig’s 2nd Annual Fundraiser — is in preparation for Tuesday, July 28 at 7pm. Thingamajig Theatre Company’s Second Annual Fundraiser will take place on July 28th. The doors open at 6pm to live music, hors d’oeuvres catered by the Alley House Grille and with backstage tours conducted by the charming performers in this summer’s repertory season. At 7pm, the performers will take the stage for a fun cabaret style show. Between the entertainment, our cast will auction off special Thingamajig delights, including a custom outfit designed and built by Thingamajig’s costumer Nanette Cheffers (a great item if you want to wow in your outfit to the New Year’s Eve Masquerade Ball,) a painting by Thingamajig’s talented scenic painter Jill Fives Speers, a gourmet dinner at your home cooked by Joanne Irons for you and three of your choice of Thingamajig’s actors, a cameo part in Thingamajig’s 2016 Summer Season, a Seat at the Producer’s Table during Auditions that will help you get a closer look at the creative process that goes behind casting a big summer season, a nature hike with Tarzan’s “Jane,” a private performance by Joseph’s “Joseph,” as well as voice lessons, acting lessons, and dance lessons taught by the Thingamajig cast and many more! The biggest auction item will be a Spectacular Dinner Night for Up to 10 people that will be cooked by the Thingamajig Summer Cast (who claim that they are all quite talented chefs!) at four different homes- you and your guests will be chauffeured by the actors from home to home for appetizers, main courses, desserts, wine pairings –done by our highly trained actors who have spent way to many years as waiters! And serenaded along the way! An evening like no other! Come ready to Bid… to Laugh… to Be Surprised! Please get your tickets early as seating for the Gala is extremely limited. Click here to order your tickets.